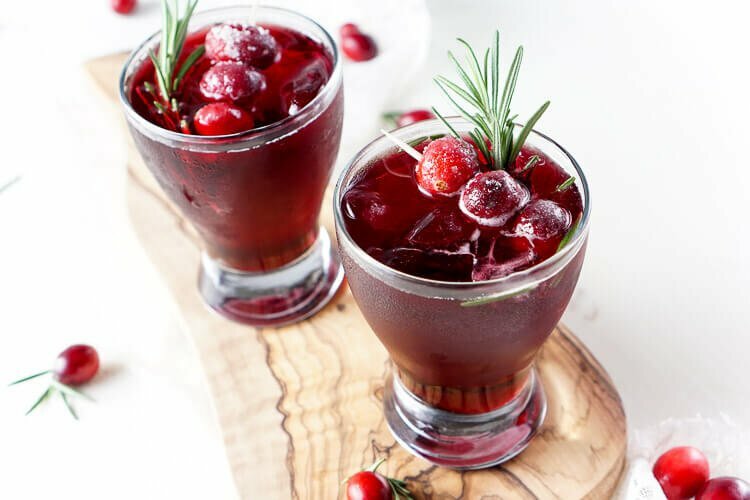 This Cranberry Cooler recipe is refreshing and delicious with just a handful of ingredients that will have you feeling festive in no time! So yesterday, I had my annual appointment, you know, THAT annual appointment. And of course, I’m fortunate enough to go to a hospital that’s also a teaching hospital. Which means that it’s almost inevitable that there will be a med student with the doctor and every time the nurse informs me and says, “Is that okay?” Sure, why not, let’s just make it a party. And then yesterday, the nurse says in response “He’s really nice.” Well, that’s great and all, but nice doesn’t exactly cut down on the awkwardness. But I get it, these med students have to learn somehow and it’s not like I’m ever going to see any of them again so they mine as well. 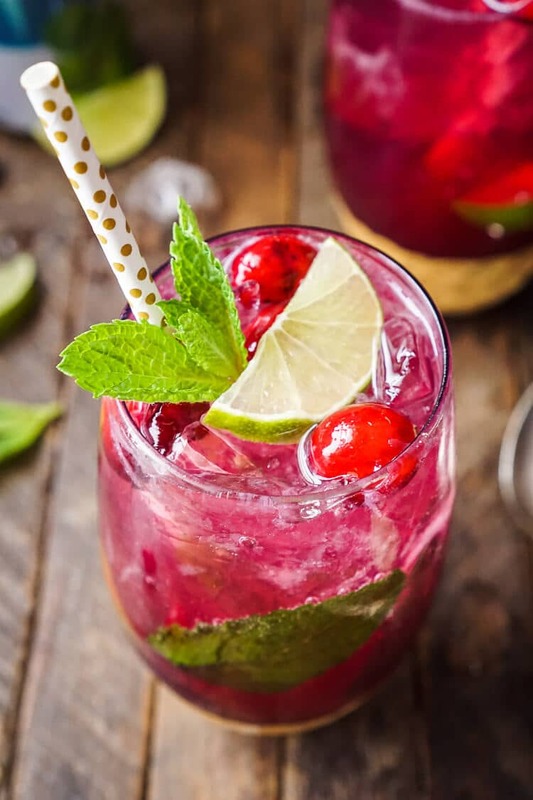 Don’t worry though, there’s no rum in it (but that doesn’t mean you can’t add some), which makes it a festive drink the kiddos can enjoy too! 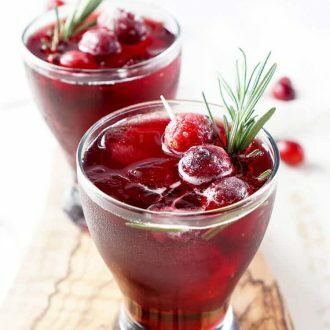 Made with cranberry concentrate, sugar, and club soda this drink is like an upscale cranberry juice. 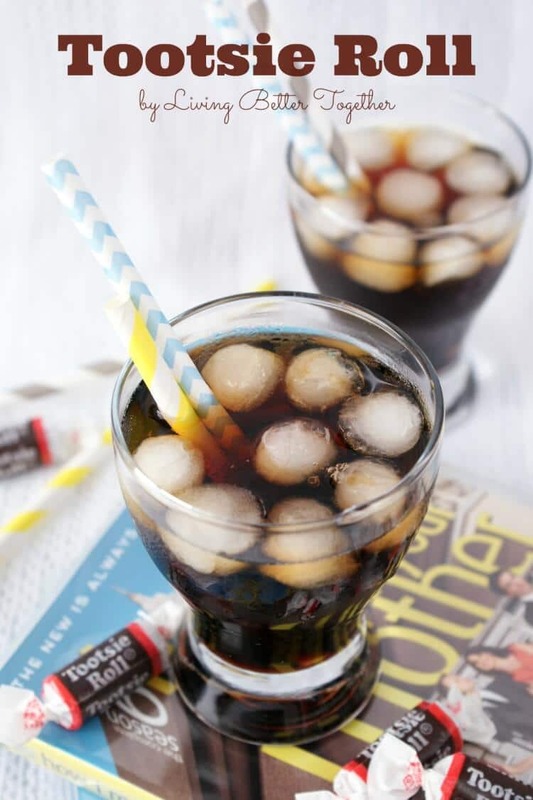 But, we’re going to cool things off a bit with just a couple drops of peppermint extract! 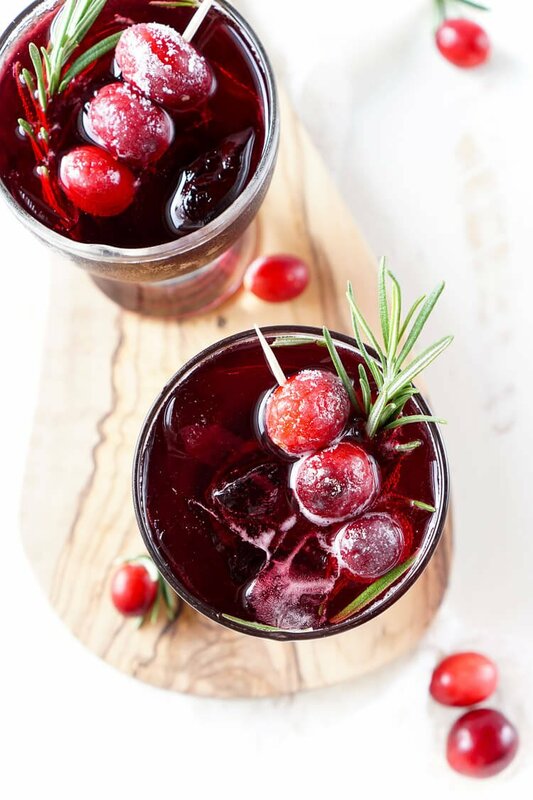 The extract will leave a chilly note but won’t add too much flavor, leaving you with a crisp and tart festive drink for Christmas or NYE! 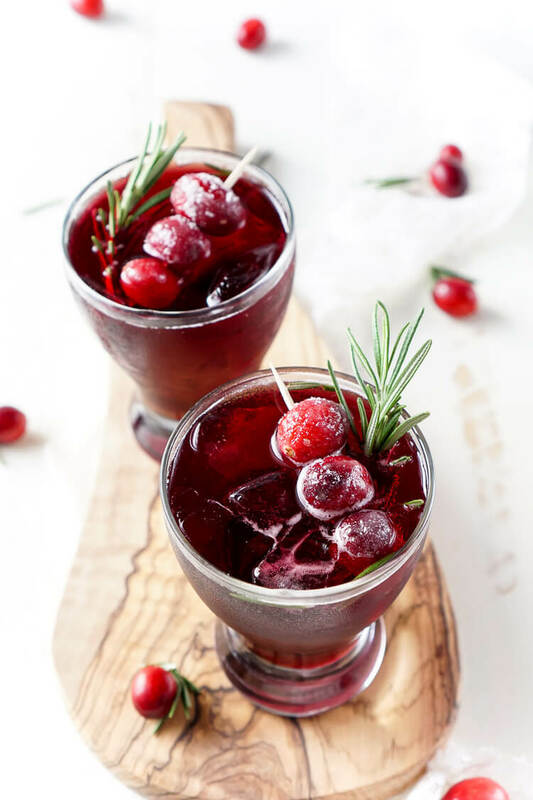 This Cranberry Cooler recipe is refreshing and delicious with just a handful of ingredients that will have you feeling festive in no time! 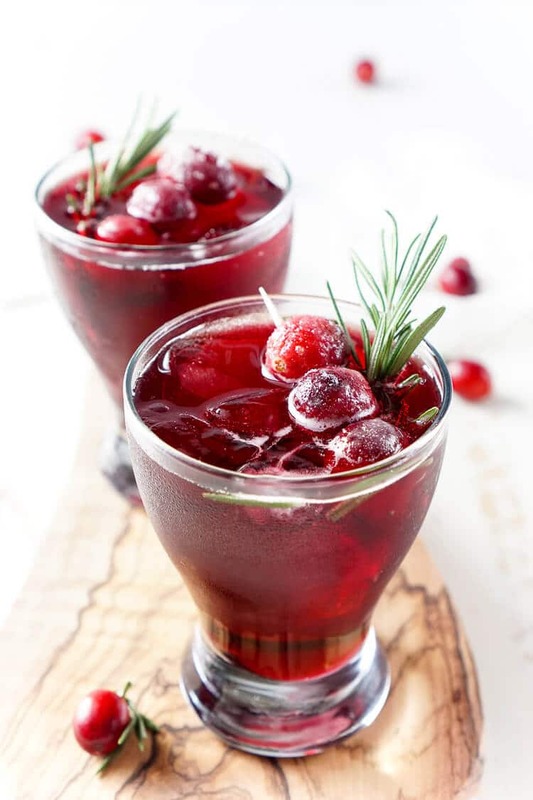 Cranberries, sugar, and a dash of peppermint combine for a non-alcoholic drink that's both tart and crisp. Make it for Christmas or NYE! In a cocktail shaker, combine concentrate, simple syrup, extract, and ice and give it a couple shakes. Evenly seperate between two 8 oz. glasses. 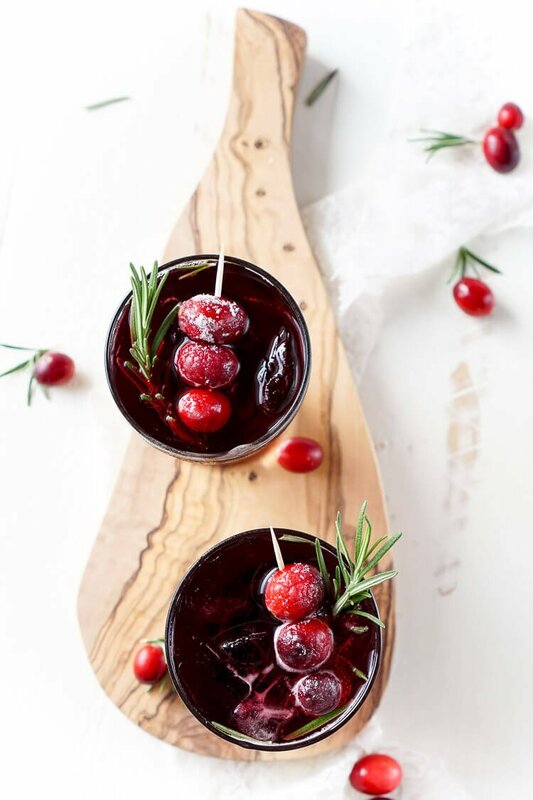 Garnish with sugared cranberries and a sprig of rosemary. 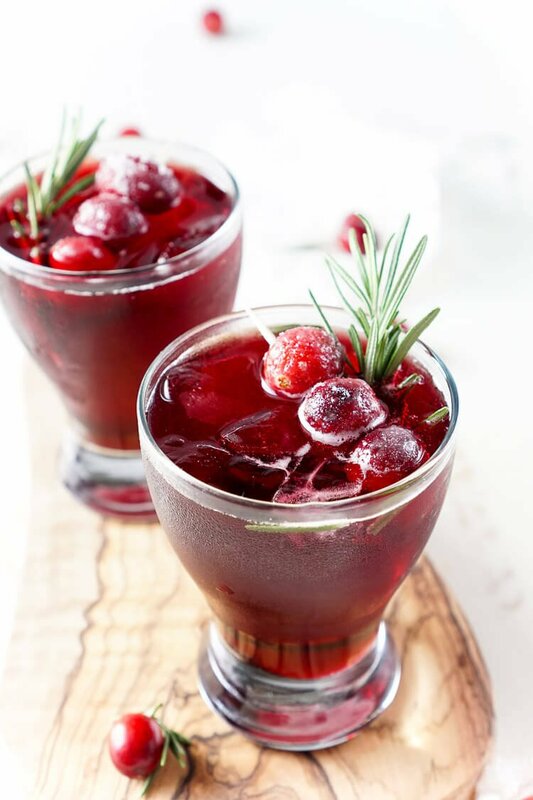 Make sugar cranberries fast by placing three on a toothpick, dipping them in simple syrup and rolling them in sugar. Add a shot of vodka or rum to each glass for an alcoholic version.